1 Gently fry the sausages and onion in the olive oil until cooked through. Heat oven to 180oC. 2 Add sausages and onion to a casserole dish, along with potatoes, carrots, swede, baked beans, tomatoes and stock pot. 3 Fill one of the empty tins with boiling water and add that to the casserole too. 4 Pop the casserole in the oven for 30 mins or until the veg are tender. Can also throw everything in the slow cooker and cook for 5 hours on low. This also freezes well. 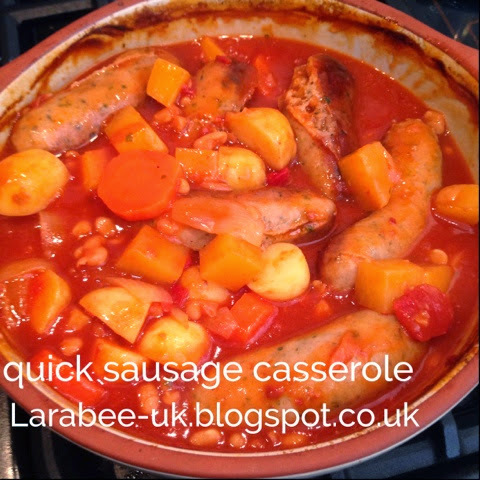 I do exactly the same for my veggie version using veggie sausages. 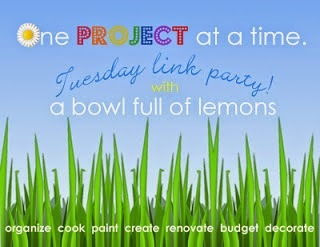 This post is linked up to A bowl full of lemons, one project at a time Tuesday link party.